While world fears have generally centered around the proliferation of nuclear, biological, and chemical weaponry, the major time bomb clicking away is a demographic one. In 1998, the two hundredth anniversary of Thomas Robert Malthus's "Essay on the Principle of Population" was observed. Developed in this work is how under ideal conditions human numbers increase geometrically. (See Frank Elwell's Reclaiming Malthus site.) Six years after its publication, in 1804, world population first reached one billion people. Just 123 years later the population reached two billion, and in 47 years doubled again to four billion in 1974. In the fall of 1999, one born in 1960 will have seen the world's population double from 3 to 6 billion (check out ZPG's Y6B page); one born in 1927 will have seen human numbers tripled (source: United Nations, 1998). Of the estimated 105 billion humans who have ever been born, 5.5 percent are currently alive! If present trends continue, the world in 2000 will be more crowded, more polluted, less stable ecologically, and more vulnerable to disruption than the world we live in now. Serious stresses involving population, resources, and environment are clearly visible ahead. Despite greater material output, the world's people will be poorer in many ways than they are today. How prophetic was this report, especially given that much of this increase has occurred in the world's developing nations. While in 1950 some 22% of the world's population resided within industrial democracies, projections are that in 2100 over nine-tenths will be living in the Third World. In early 2001 nearly one-third were living in just two countries with populations in excess of one billion: China and India. In 2003, the U.N. projected that world population would increase 41% by 2050 to 8.9 billion, with nearly all growth occurring in the developing countries. Let's not forget Paul Ehrlich's warnings of overpopulation in The Population Bomb. Humanity is not immune from the laws of nature. If it reproduces itself beyond the carrying capacity of its habitat it will experience a "die-back" or population crash. One of sessions at the 1998 meetings of the American Association for the Advancement of Science was "Is the Human Species a Cancer on the Planet?" Dr. Warren Hern, a Colorado physician and epidemiologist, noticed the similarities between aerial views of urban centers and melanoma. See for yourself from the satellite images at Microsoft's Terra Server. 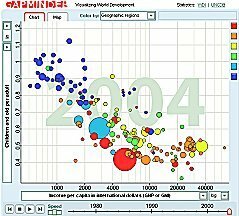 PBS's "6 Billion and Beyond"
According to demographic transition theory, there are five demographic epochs in the history of human population growth which have a profound bearing on such things as the pace of social change, the rate of cultural evolution, or the relative size of dependent populations. In the earliest period, both birth and death rates are high and approximately equal, approximately forty per one thousand individuals. The population is in equilibrium with its environment. With social evolution, there are declines in death rates that outstrip the declines in birth rates. Here the agrarian procreative tradition--of having large numbers of children to ensure the survival of a few (which was the first form of social security for old age) and to have as many hands helping with the farm as is efficient--is transported to urban centers, to places where improved medicine guarantees less infant death but where having children becomes an economic liability. With a majority of the planet's societies in this phase of dramatic population growth rates, some claim that we may be approaching the ecological limits of our species' numbers. (Birth rate declines, however, can be dramatic: While it took the U.S. 58 years to go from a fertility rate of 6 children to 3.5, that drop was achieved in 12 years in Colombia and in 15 years in Thailand.) Finally, the final epoch, only now being approached by a few of the most industrialized countries of the world, sees once again an equilibrium of birth and death rates, but this time at a much lower level. 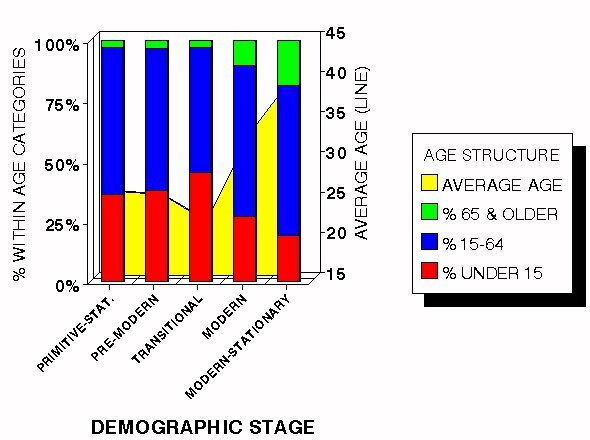 These various stages determine the age composition of a population. As can be seen, by the transitional stage (characterizing much of the so-called "developing nations"), the average age of a population bottoms out owing to the sizable percent of the population under the age of 16. In Africa, for instance, 45% of entire population is under 15; in 1996, only 26 percent of Americans were under 18, compared to 36 percent in 1960 and 40 percent in 1900. 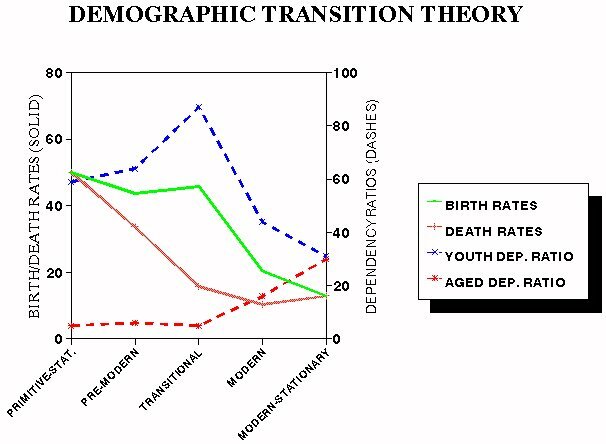 Among the demographers' statistics is the dependency ratio of a population, comprised of the proportion of non-working young (the youth dependency ratio, those 15 and under divided by those 16 to 64 years of age) and old (whose dependency ratio is the number 65 and older divided again by those 16 to 64). See how the age structures of national populations have changed--and are projected to change--check out the International Database Population Pyramids from the Census Bureau, selecting the "Dynamic" option for "Type of Output." To see how varying conditions affect population pyramids over time see Ginger Booth's Human Demographics simulations. These various stages also determine a population's growth rate, one way of which accessing is examining the time it takes for it to double. Applying the "rule of 70," that is dividing 70 by the annual percent increase in population, one obtains this doubling time. For instance, if Liberia's 3.23% growth rate continues, its population will double in 21 years and 8 months (70/3.23)! So what are the broad socio-cultural consequences of such major shifts in nations' changing age structures? The introduction of the UN's "The State of World Population 1998: The New Generations" speaks of the world's 578 million people over age 60 and the 1.05 billion between the ages of 15 and 24. It projects how the latter group will decline from comprising 20.6% of the total population in 1985 (which was its peak) to 14.1% in 2050. Meanwhile, the older group (actually, those 65+) is to grow in the more developed nations from 7.9% in 1950 to 24.7% one century later. How will this affect the pace of economic growth and the military relations between the younger have-not nations and the aging haves? Will our current race-, ethnic-, and class-based politics to being age- and generationally-based politics? A top notch resource is the Population Reference Bureau, which includes slides of population trends, a glossary of population terms, the 2004 World Population Data Sheet, and AmeriStat, the "one-stop source for U.S. population data"
Why have Eurasians come to dominate the world? Why didn't such New World leaders as Montezuma or Atahauallpa lead the Aztecs or Incas to conquer Europe? See Jared Diamond's synthesis of biogeography, animal and plant genetics, and molecular biology in "Why Did Human History Unfold Differently on Different Continents for the Last 13,000 Years?" in The Third Culture. 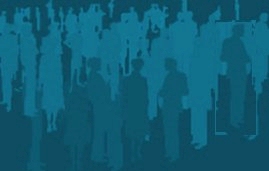 Social Geography-an interactive open access journal--addressing "the interrelation of society, practice and space and its implications for every day-life, social and environmental policy or economic practice." 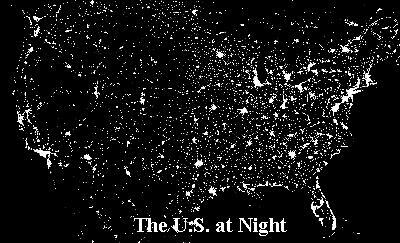 The results of the 2000 Census are finally coming out. Over time, the numbers are increasingly processed and refined to smaller and smaller geographic units. 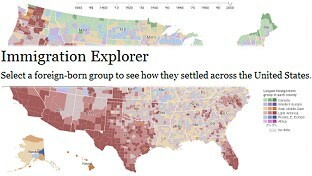 For an interesting collection of presentational formats see the New York Time's "Archive of Census Maps, Charts and Interactive Features." WHAT CAN BE LEARNED FROM A ZIP CODE? 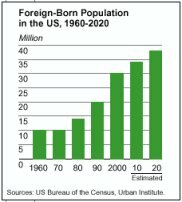 During the 1990s the foreign-born population in the United States grew by 57 percent. In 2000, one in nine individuals--some 31 million--living in the country were immigrants. Migration Policy Institute "an independent, non-partisan, non-profit think-tank in Washington, D.C. dedicated to the study of the movement of people worldwide"
Forced Migration Online--"a world of information on human displacement"
Marta Tienda's "Demography and the Social Contract" "immigration strains commitment to the democratic principles of inclusion and equity by redrawing the boundaries of membership based on ascription and an ever more narrow definition of citizenship"
In 1996, the second United Nations Conference on Human Settlements (HABITAT II) met in Istanbul amid considerable publicity concerning the urbanization of the planet. Fifty years earlier, less than one-third of the world's population lived in urban areas. 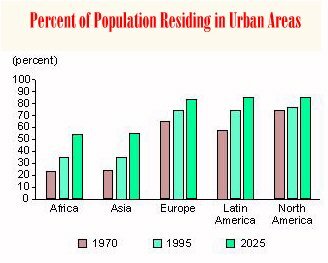 According to current projections, urban dwellers will make up one-half of the total population in 2008 and two-thirds in 2025, when one quarter of humanity is projected to be residing in cities of one million or more. Most of this increase will occur in developing nations. While New York City was the world's largest metropolitan area in 1950 and third largest in 1995, by 2015 it will drop to 11th, following Tokyo; Bombay, India; Lagos, Nigeria; Shanghai; Jakarta, Indonesia; Sao Paulo, Brazil; Karachi, Pakistan; Beijing; Dhaka, Bangladesh; and Mexico City. What will be the consequences of such demographic change? According to the World Resources Institute, the environment goes first and then the social fabric unravels. A National Resources Inventory study by the Agriculture Department reported that between 1992 and 1997 nearly nearly 16 million acres of American forest, cropland and open spaces were converted to urban development. In the developing world, ninety percent of raw sewage for urban areas flows directly into streams and oceans. 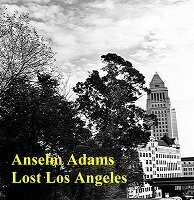 There urban areas attract large numbers of unemployed young men, who bring increasing homelessness, crime, political instability, and sexually transmitted diseases. These new man-made settings engender new minds and new selves. 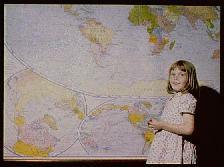 Click here for a study of how where one was raised influences moral outlooks. From the UN Population Fund, "State of the World 2007: Unleashing the Potential of Urban Growth"
Metropolitan Area Research Corporation whose "expertise lies in presenting cutting edge demographic research through the striking spatial display of data"
Joseph Soares's "The Social Life of Cities"
From the U.S. Census Bureau's data on urbanized areas: Sprawl City--"a website about consumption growth and population growth and their roles in the urban sprawl that destroys natural habitat and farmland around U.S. cities"
URBIS "exploring urban cultures and the cities of day and tomorrow"
Environmental Research Foundation--"news and resources for environmental justice"
From the National Resources Defense Council: Clean Water and Oceans; see also their June 2003 report "What's On Tap? Grading Drinking Water in U.S. Cities"
Maps.com--one stop shopping here for a global perspective: political world maps, physical world maps, and even the ability to view one's home via satellite. Another site to obtain those views from space is TerraServer. 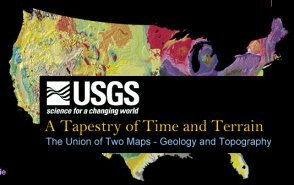 Topozone's interactive topographic map of U.S.
Mike's GIS home page! Need a GIS dictionary?